Organize your business! Exploit human resources that can be used in other tasks more efficiently. Version 1.3.2 is now available for download! Easy!Appointments is now GDPR compliant, check the latest package. 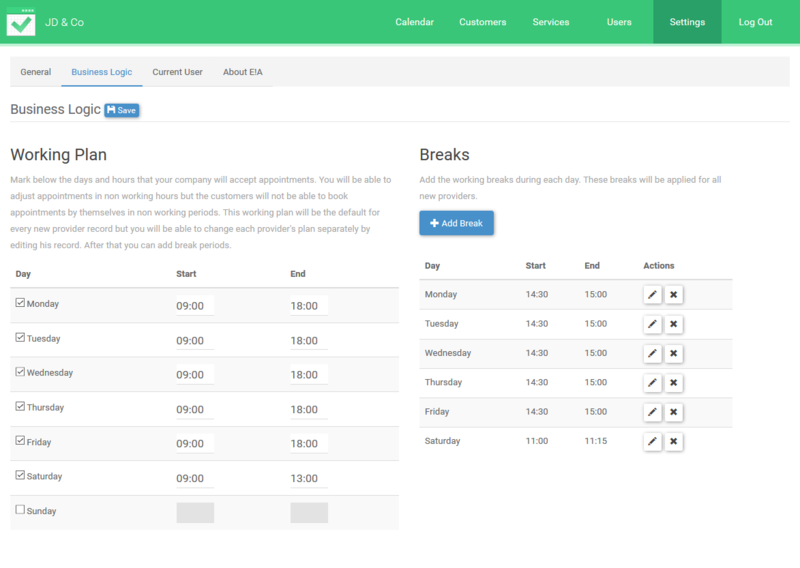 Easy!Appointments is a highly customizable web application that allows your customers to book appointments with you via the web. 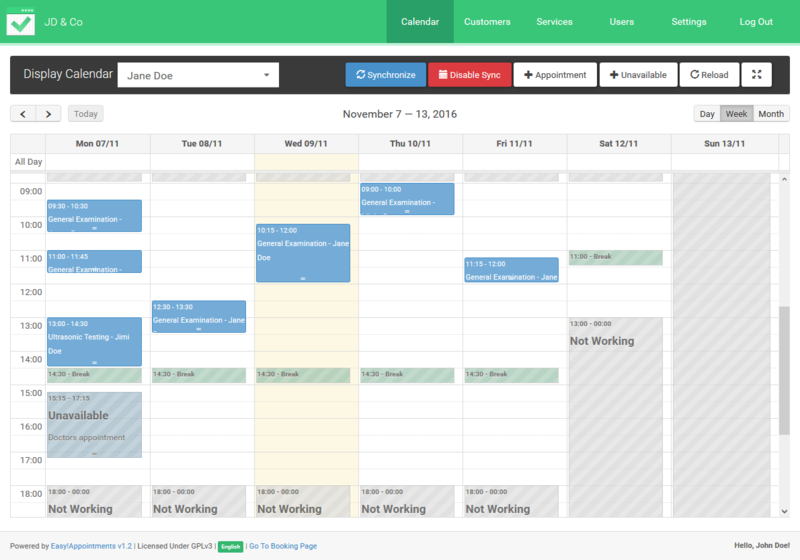 Moreover, it provides the ability to sync your data with Google Calendar so you can use them with other services. It is an open source project and you can download and install it even for commercial use. 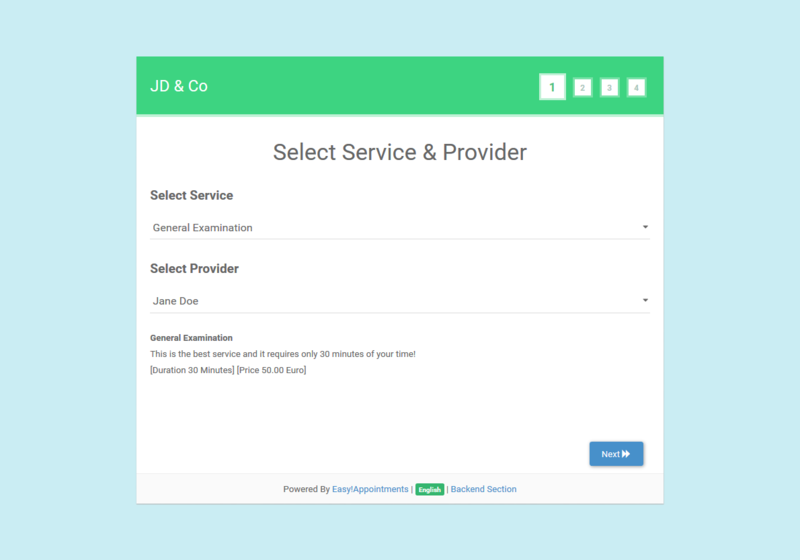 Easy!Appointments will run smoothly with your existing website, because it can be installed in a single folder of the server and of course, both sites can share the same database. Learn more about the project in the Features page. Make sure that your server has Apache/Nginx, PHP and MySQL installed. Create a new database (or use an existing one). Copy the "easyappointments" source folder on your server. 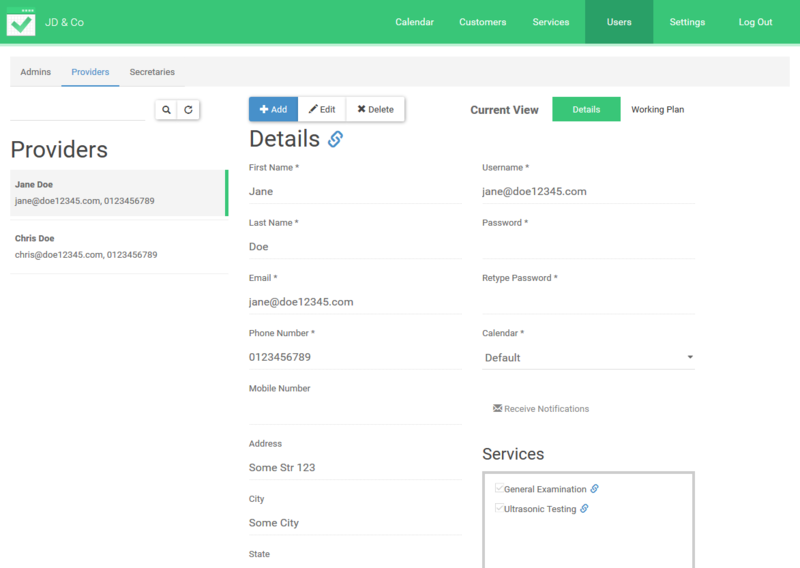 Set your server information to the "config.php" file. Open your web browser and navigate to the installation directory URL. That's it! You can now use Easy!Appointments at your will! You can find a more detailed installation guide in the GitHub wiki pages of the project. There are three things that you will need to do in order to update an existing Easy!Appointments installation. Backup your Easy!Appointments files and database. Copy and replace all the files from the new version except from "config.php". Open your browser to the URL "http://url-to-ea-installation/index.php/backend/update". You should get a "Success" string as a response which means that your database tables were updated successfully. Read the detailed update guide on this GitHub wiki page. If you encounter any problems when using Easy!Appointments you can search the official Support Group for answers. You can also create new issues on GitHub and get involved in the development progress with pull requests or other suggestions. Follow Easy!Appointments on WordPress, Facebook, Google+, Twitter and get the latest updates!